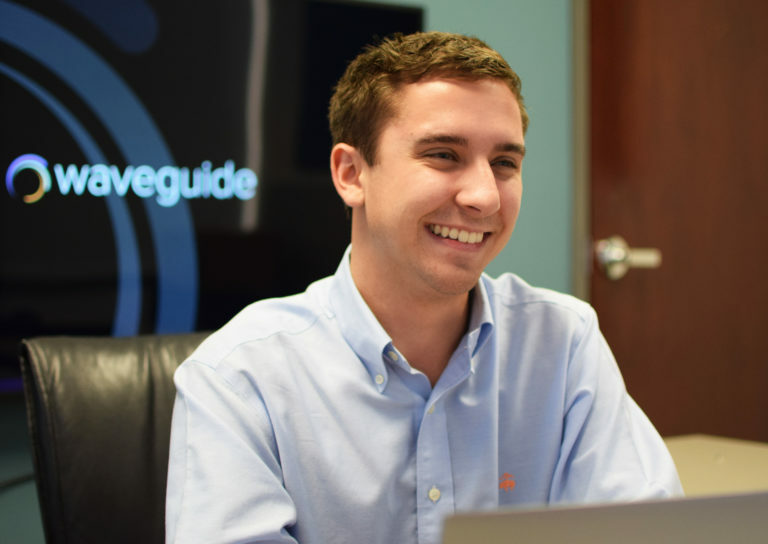 Dillon Kelly, CTS, joined Waveguide in 2017 as a field agent in our Atlanta office. He now serves as an associate consultant. He most recently served as an audiovisual technician and previously served as a telecommunications and audio systems technician and acoustics/audio system design consultant. In addition, he has worked in music and film production, recording and sound mixing. Dillon holds a Master of Arts in sound design from Savannah College of Art and Design and a Bachelor of Arts in production studies/audio technology from Clemson University. Dillon channeled his love of music into a side gig as a DJ, repping his, Scott and Andy’s alma mater Clemson University as the DJ for ESPN’s official pre-game events during the 2016 National Championship – definitely a more positive experience for Dillon than his Clemson Tigers that year. Creating and listening to music, watching movies, traveling to new places and working on the car! I love learning from everyone’s specialties in a super friendly and open environment of AV nerds (like myself). On top of that, everyone I’ve worked with has encouraged me to pursue greatness with a genuine investment in my well-being and success.